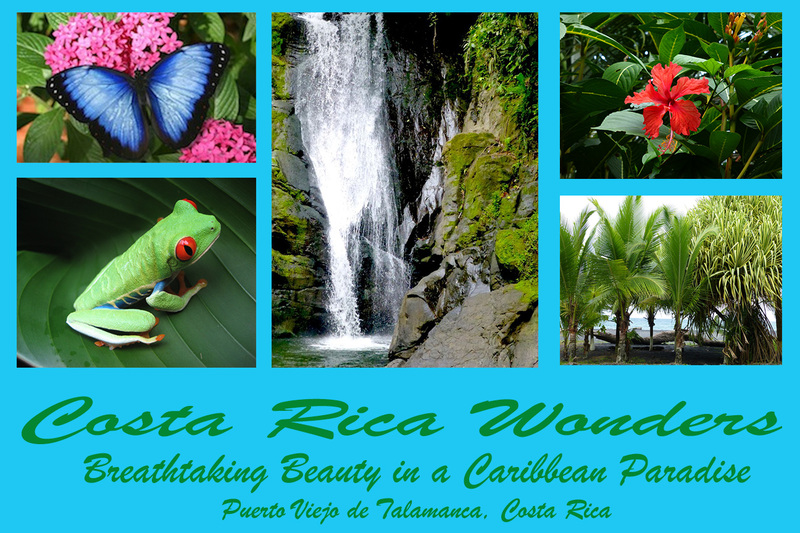 I am spending the time of between now and December 21 in Puerto Viejo, Costa Rica, a small town set amidst the coastal paradise of the Caribbean. It is a world apart. 10 kilometers down the road is the proverbial End of the Road…nothing beyond it but jungle, sea coast and out there somewhere, Panama. There are no McDonald’s burgers, no Howard Johnson Inns. Only will you find local businesses – restaurants, hotels, beach shops – owned and operated by local Afro-Caribbeans, Ticos and international expats. 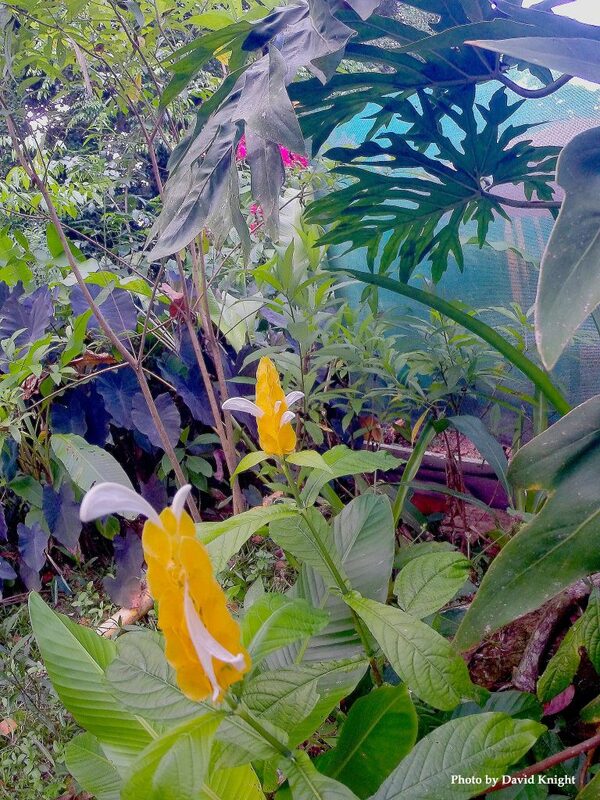 Lush tropical flowers, fruits and wildlife intermingle with the human community. Music in the air at night. While Spanish is the official language, English is the language of Travelers, and you will get by fine with it. Mangoes are $1.50… a kilo! That is about 5 mangoes. Pineapples can be had for a dollar apiece. A full fresh locally-caught fish dinner, under $15. Lodging…don’t worry about it, I will put you up. You just get here. Bring your bathing suit and flip flops. The temperature is 68ºF at night, 82ºF during the day. In the winter. And the Caribbean Sea, always just a short walk, is 80ºF and fine swimming along beautiful beaches that stretch for miles, where no one will ever say “Get off my beach!” Yeah, This winter. Select any consecutive three day period. Each three-day period is $1,111. Lodging is included. To insure the greatest focus and personalized attention, it will be only the two of us: You and I. For those who wish to learn the principles and techniques that form the foundation of Shamanic practices – and go on to apply these in service to your own spiritual path or in your healing work with clients – a short but intensive period of training in a specific method will impart what the earnest and dedicated person requires. Apprenticing in these Shamanic Ways, which I hold as a sacred trust, is to receive direct Transmission of the Knowledge, Empowerments and Practices of this authentic Shamanic heritage. It requires dedication, integrity and honor. Initiation into Apprenticeship sets into motion a limited long term commitment of study and practice. Mentoring is intended for those individuals who have already established their own deep spiritual practice (it doesn’t have to be Shamanic) and are looking for guidance and insight from a respected Elder as to how to proceed, keep their practice vital, or bridge the gaps that have shown themselves over time. Discuss which of these options may best meet your Intention. Find out what dates are available for you to visit (see calendar below). Have me send you an email containing necessary travel info, tips on what to prepare for and what to bring. I strongly encourage you to plan a stay of longer than the three days so that we can go about together to enjoy the beauty and wonders of the local Caribbean coast and culture! I will assist you in booking a local hotel room for any days before or after the three days of our working together.